Would the mainstream media hold back on a story if it could possibly hurt a Democratic runner in an election? You wouldn’t think so, right? You’d be wrong if you thought that they would get the story out, no matter if it were good, bad or indifferent. A reporter from Reuters, Joseph Menn, allegedly sat on a big story about Robert Francis O’Rourke. Ted Cruz and O’Rourke ran for a Senate seat in the 2018 mid-term election. Also brought into light, was another allegation that I’ve written about Beto in connection with the group, wrote bizarre fiction stories under the name “Psychedelic Warlord,” which includes a story about the fantasy of murdering, by running over two children with a car. As soon as the story came out, Beto was out expressing regret about his deeds. Menn knew about all of this in 2017 and he sat on it. 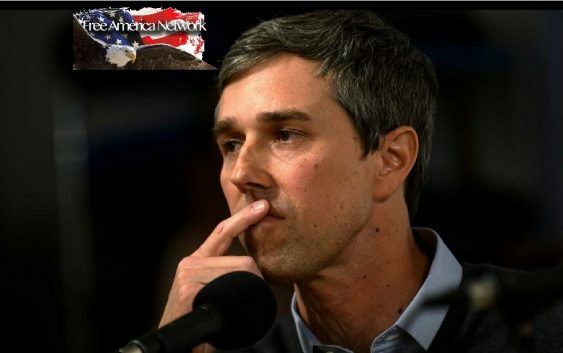 According to Menn, members of the hacking group were protecting O’Rourke’s identity and would not confirm his connection to them unless the reporter, Menn, promised not to write about it until after the November election. Apparently, they made a deal. Menn agreed to sit on an adverse story about Beto until his Senate race was over. Beto lost to Cruz. “After more than a year of reporting, Menn persuaded O’Rourke to talk on the record. In an interview in late 2017, O’Rourke acknowledged that he was a member of the group, on the understanding that the information would not be made public until after his Senate race against Ted Cruz in November 2018. In an interview with Reuters senior producer Jane Lee, Menn explains how he broke the story and got O’Rourke to open up about his hacking days. “I decided to write a book about the Cult of the Dead Cow because they were the most interesting and influential hacking group in history. They illustrated a lot of the things that I think are fascinating about hacking and security work. “While I was looking into the Cult of the Dead Cow, I found out that they had a member who was sitting in Congress. I didn’t know which one. But I knew that they had a member of Congress. “And then I figured out which one it was. And the members of the group wouldn’t talk to me about who it was. They wouldn’t confirm that it was this person unless I promised that I wouldn’t write about it until after the November election. That’s because the member of Congress had decided to run for Senate. Beto O’Rourke is who it was. Gosh this is fun. I did not have the story before the November election because no one would talk. Do people actually understand that the news media is biased? Some do and some watch TV news blindly and listen to what they believe must be truth that is being reported. I am personally disgusted in what I see being reported and not being reported. The media is backing the LEFT and they are not hiding their agenda.